Strong Persuader: A Blues Master Playing at Lakes High. Or, how a party at the Home of the Lancers changed the face of American music. 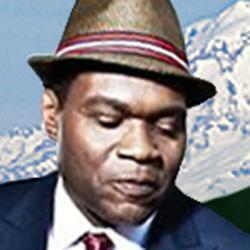 Robert Cray. A blues epiphany in a high school gym. Cray's Grammys. Five wins, fifteen nominations. Robert Cray, a multiple Grammy Award winner, got inspiration for his blues career while attending the 1971 graduation party at Lakes High School He was sitting next to Bobby Murray when Albert Collins performed. "I was sitting right next to Robert and our jaws just dropped," Murray told the site JB Blues. "I knew right then and there that was what I wanted to do. It changed Robert too. It was great because we were both able to continue a relationship with Albert until he passed away [in 1993]"
The son of an Army quartermaster would go on to form Steakface with Murray, known as the "best Lakewood band you never heard of." Cray graduated to a solo career that has spanned 40 years. 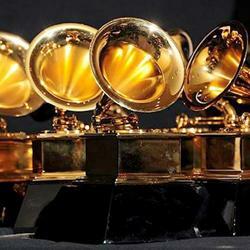 He won his first Grammy Award for the album Strong Persuader. The single "Smokin' Gun" attracted considerable attention. Cray is considered one of the best blues guitarists, period. In 2011, he was elected to the Blues Hall of Fame.